London, 3 October 2018 (00.01 GMT) -- Balderton Capital, Europe’s largest early-stage venture capital investor, announces today that it has raised a new $145m fund dedicated to buying equity stakes from early shareholders in European-founded, high growth, scale-up technology companies. Called Balderton Liquidity I, this fund will typically invest in European founded growth stage companies where early shareholders wish to obtain pre-exit liquidity. Balderton will take minority stakes, between regular fund-raising rounds, making it possible for early shareholders - including angels, seed funds, current and former founders and employees - to realise early returns, reinvest capital in the ecosystem, or reward founders and early employees. A first for Europe, the launch of Liquidity I is indicative of the maturing European tech ecosystem, which has seen extraordinary growth and strong venture capital investment in recent years. Venture funds of this type have been common in Silicon Valley for more than a decade. However, while the acquisition of early shareholder stakes does take place in Europe on an ad hoc basis, no specialist venture vehicle for them currently exists. Today there are over 500 companies in Europe which have raised more than $20m over the last decade. Balderton conservatively estimates the total value of early shareholder stakes in these companies is at least $4bn, in both the consumer and enterprise sectors, with potentially hundreds of early shareholders wishing to free up capital to realise returns, reinvest, reward employees and founders, or launch new technology startups. With this new fund, we are expanding our firm to take advantage of new investment opportunities arising in the maturing European tech ecosystem. As one of the continent’s most active Series A investors, Balderton will be able to offer growth stage companies the opportunity to replace a long tail of early shareholders with a single professional investor, as well as provide access to Balderton’s platform of services and become part of Balderton’s community of global companies. Partner Daniel Waterhouse will lead the new fund working alongside with Principal Laura Connell, and the rest of the Balderton team. Partner Daniel Waterhouse will lead the new fund, with support from investment principal Laura Connell, who recently joined Balderton, and the rest of the Balderton team. We can help early shareholders release capital in a way that enables the company and its team to focus on their ambitions without distraction, rewards early team members, and potentially enable the recycling of capital into new startups. Balderton raised Liquidity I in just three months from its existing limited partners and some new investors, who are drawn from institutions and family offices across Europe, the US and Asia. Investments will be considered in sectors similar to that of Balderton’s existing early-stage venture fund, which primarily backs software and internet-powered companies in both the consumer and enterprise space, where the company was founded in Europe. Companies in the Liquidity I portfolio will become part of the Balderton family, allowing them to take advantage of Balderton’s network of globally-connected executives, who have real-world experience of founding and building technology companies from startup to IPO. 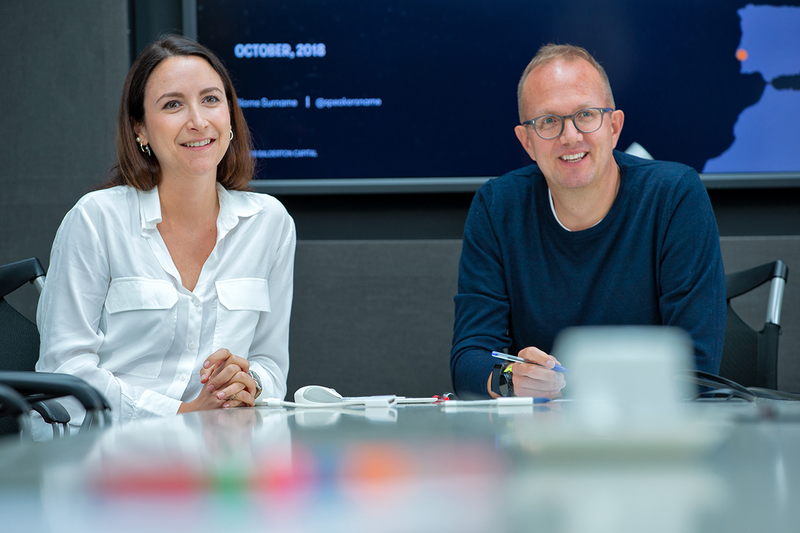 Companies will be invited to join Balderton’s CEO Collective and use the firm’s portfolio services including its talent platform - overseen by head of talent, Kiana Sharifi - and marketing platform, led by head of marketing, Alice Lankester. Edward Wray, co-founder of Betfair and member of Balderton Capital’s Executive Council, says: "This is a good thing for companies and for the very early-stage investment community across Europe. Over time, this fund will benefit the entire ecosystem by allowing early-stage shareholders to release capital to reinvest in the ecosystem and so fuel the next wave of exciting European startups." Over time, this fund will benefit the entire ecosystem by allowing early-stage shareholders to release capital to reinvest in the ecosystem and so fuel the next wave of exciting European startups. Balderton has now raised seven funds over 18 years, totalling $2.7bn. It has already made more than 20 Series A investments from its latest fund, Venture Fund VI, which closed in 2017. The firm has a track record of backing breakthrough companies ranging from Betfair and The Hut Group to Yoox Net-a-Porter. Over the past few years, Balderton has invested in some of Europe’s most dynamic and fastest-growing tech businesses, including France-founded data analytics company Talend, which floated on the NASDAQ in 2016. UK-founded A.I. startup Magic Pony, which was acquired by Twitter in 2016, and Revolut, one of Europe’s fastest growing fintech unicorns. Read Daniel Waterhouse on the story behind raising Balderton Liqudity I.